No hiding it from anybody. 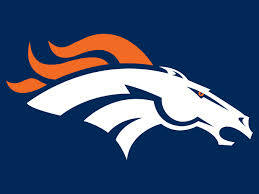 I'm a Broncos fan, from when I first learned there was game called football, 'til my dying day. I'm not the kind of fan whose life revolves around the team, but I watch every game I can. I cheer when they're great and groan when they're not. And like every NFL team, they're capable of being not great at the worst times. It's often said that a team is only as good as its quarterback, and from the way the media fawns over QB's, it must be true. Recent news in the quarterback arena gives me opportunity today to be what I often like to be: popular as a skunk at a picnic. This week, the New York Jets released Tim Tebow. Les Carpenter and Jason Cole of Yahoo! Sports have good stories today about how stupid the Jets have been, and what it might mean for Tim now. But as a Broncos fan, I can't get over how my team blew it when they traded Tim in the first place. And for who? Peyton Manning. Come on! Oh, I know the reasoning. John Elway-- arguably among the greatest of the greats, and now Executive VP of Football Operations for the Broncos-- doesn't believe that a team can go to and win a Super Bowl without a strong passing game. Maybe that's right. I don't know that stuff. So when Manning came available, even though he may have only a few seasons left in him, Elway jumped at the chance. Trouble is, to get Manning, the Broncos let go of the greatest quarterback they ever had. Yeah. I'm talking about Tim Tebow. Lets compare the Bronco's 2011 and 2012 seasons. In 2011, in only his second year in the NFL, Tebow was thrust into the starting quarterback position. The team had a 1-4 record, and sinking fast. Tim then led the team to the Divisional round of the playoffs, where they lost to the Patriots, who just out-played them. Not bad at all, considering the Patriots went on to win the Super Bowl. In 2012, 13-year veteran Manning inherited a team from Tebow. He led the team to the Divisional round of the playoffs, where they lost to the Ravens. The Ravens went on to win the Super Bowl, but it should have been the Broncos. Why? Because Manning literally handed the win to the Ravens. By his own admission, he let his reputation get in the way, and threw a rookie-mistake interception. For the overall season results, Tebow matched Manning. Considering his experience level and where he started, Tebow surpassed Manning. Why is Tim Tebow the greatest Broncos quarterback? Because he did something no other Broncos quarterback has done. Not even John Elway. Tim took a bunch of guys wallowing in their own defeat, and turned them into a team. I watched the "team attitude" of the Broncos deteriorate starting the day Elway retired. Tim Tebow turned that around. I've never met Tim Tebow. Probably never will. But I can see in his manner, in his actions, in his eyes, what he is. He's not a great passer. He's a strong, but not particularly maneuverable, runner. But he's an amazing quarterback. The Broncos started to win under Tim Tebow because of his attitudes of love and service toward them. Something many of them weren't getting anywhere else. As a result, his teammates rallied around him. They started to lift each other up the same way he lifted them up. They worked extra hard to make Tim successful. If he really needed to make a pass, the receivers pushed harder to get to the ball, even if it was off the mark. If he really needed to run the ball, the linemen made that hole just a little wider. Under Tim Tebow, I saw a bunch of me-first individuals come together as a cohesive, supportive unit. Peyton Manning has rightly earned his position of leadership through his hard work, accomplishments, and standards of playing excellence. His teammates will do whatever he says. Tim Tebow earned his position of leadership by denying himself, putting his teammates first, and willingly taking up his cross. His teammates will do whatever he needs. Tim has been criticized often for liking media attention too much, because he uses it to promote the Gospel he believes in. But even without media attention, he shows the Gospel to any who will see, for he bears the fruits every day. Sometimes, the greatest is not identified by the stats.